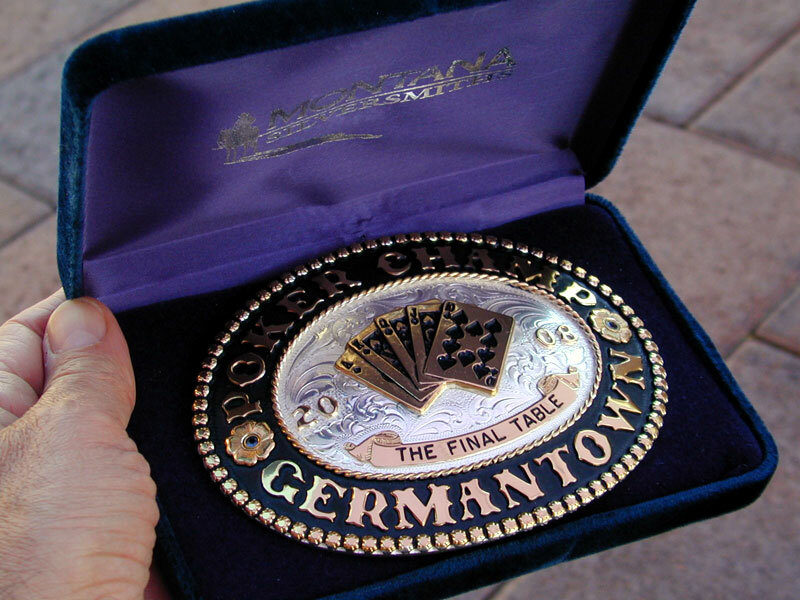 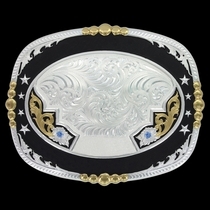 Award buckle by Montana Silversmiths. 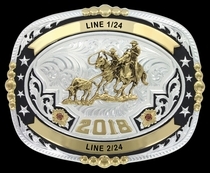 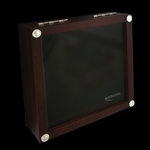 4" x 4¾". 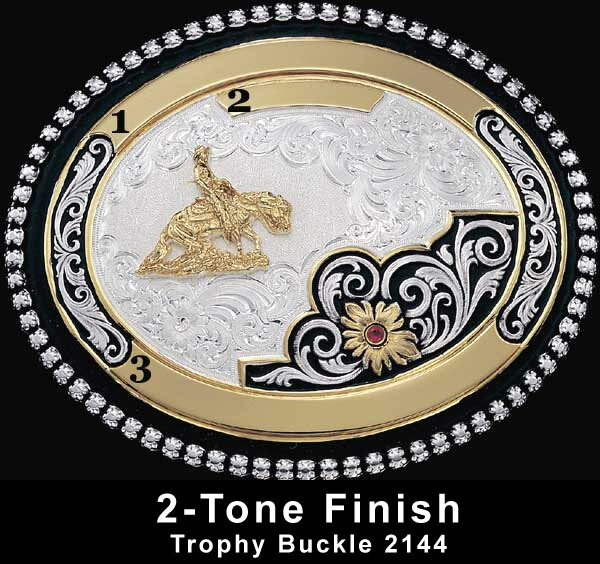 Available in gold ("2-Tone Finish")filigree buckle design. 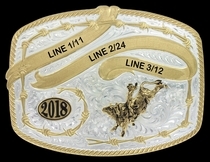 Three engraveable ribbons and background color and stone color of your choice. 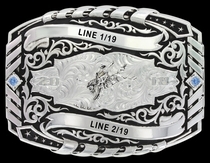 Shown with Reining Horse figure #100M and Midnight Black background color. 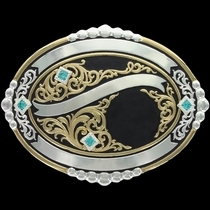 Stones may be added to the center of the two flowers seen in the silver filigree area -- see "Extras" below.